Ibuprofen (from the earlier nomenclature iso-butyl-propanoic-phenolic acid) is a non-steroidal anti-inflammatory drug (NSAID) originally marketed as Nurofen and since then under various other trademarks (See tradenames section). It is used for relief of symptoms of arthritis, primary dysmenorrhea, fever, and as an analgesic, especially where there is an inflammatory component. Ibuprofen is known to have an antiplatelet (blood-thinning) effect, though it is relatively mild and short-lived when compared to to or other more well-known antiplatelet drugs. History Ibuprofen was developed by the research arm of Boots Group during the 1960s. Its discoverer was Stewart Adams, with colleagues John Nicholson and Colin Burrows. Its patent was filed in 1961. The drug was launched as a treatment for rheumatoid arthritis in the United Kingdom in 1969, and in the United States in 1974. Dr Adams famously initially tested his drug on a hangover. He was subsequently awarded an OBE in 1987. Boots was awarded the Queen's Award For Technical Achievement for the development of the drug in 1987. Low doses of Ibuprofen (200 mg, and sometimes 400 mg) are available over the counter (OTC) in most countries. Ibuprofen has a dose-dependent duration of action of approximately 4â€“8 hours, which is longer than suggested by its short half-life. The recommended dose varies with body mass and indication. Generally, the oral dose is 200-400 mg (5-10 mg/kg in children) every 4 to 6 hours, adding up to a usual daily dose of 800 to 1200 mg. 1200 mg is considered the maximum daily dose for over-the-counter use, though under medical direction, a maximum daily dose of 3200 mg may sometimes be used in increments of 600-800 mg. When using this, or any drug/medication, always follow the directions on the packaging, advice from the pharmacist, or orders from your Doctor/General Practitioner. Ibuprofen is also available in topical form, which is absorbed through the skin, and can be used for sports injuries, with less risk of gastrointestinal problems. As with other NSAIDs, ibuprofen may be useful in the treatment of severe orthostatic hypotension. In some studies, ibuprofen showed superior results compared to placebo in the prophylaxis of Alzheimer's disease, when given in low doses over a long time. Further studies are needed to confirm the results before ibuprofen can be recommended for this indication. Ibuprofen has been associated with a lower risk of Parkinson's disease, and may delay or prevent Parkinson's disease. Aspirin, other NSAIDs, and paracetamol had no effect on the risk for Parkinson's. Further research is warranted before recommending ibuprofen for this use. In Europe, Australia, and New Zealand, ibuprofen lysine (ibuprofen lysinate, the lysine salt of ibuprofen) is licensed for treatment of the same conditions as ibuprofen. The lysine salt increases water solubility, allowing the medication to be administered intravenously. Ibuprofen lysine has been shown to have a more rapid onset of action compared to base ibuprofen. Ibuprofen lysine is indicated for closure of a patent ductus arteriosus in premature infants weighing between 500 and 1500 grams, who are no more than 32 weeks gestational age when usual medical management (e.g., fluid restriction, diuretics, respiratory support, etc.) is ineffective.With regard to this indication, ibuprofen lysine is an effective alternative to intravenous indomethacin and may be advantageous in terms of renal function. Ibuprofen is an NSAID which is believed to work through inhibition of cyclooxygenase (COX), thus inhibiting prostaglandin synthesis. There are at least 2 variants of cyclooxygenase (COX-1 and COX-2). Ibuprofen inhibits both COX-1 and COX-2. It appears that its analgesic, antipyretic, and anti-inflammatory activity are achieved principally through COX-2 inhibition; whereas COX-1 inhibition is responsible for its unwanted effects on platelet aggregation and the GI mucosa. Common adverse effects include: nausea, dyspepsia, gastrointestinal ulceration/bleeding, raised liver enzymes, diarrhea, epistaxis, headache, dizziness, unexplained rash, salt and fluid retention, and hypertension..Infrequent adverse effects include: oesophageal ulceration, heart failure, hyperkalaemia, renal impairment, confusion, bronchospasm, and rash..Very infrequent adverse effects include Stevens-Johnson syndrome. As with other NSAIDs, ibuprofen has been reported to be a photosensitising agent. However, this only rarely occurs with ibuprofen and it is considered to be a very weak photosensitising agent when compared with other members of the 2-arylpropionic acid class. This is because the ibuprofen molecule contains only a single phenyl moiety and no bond conjugation, resulting in a very weak chromophore system and a very weak absorption spectrum which does not reach into the solar spectrum. Along with several other NSAIDs, ibuprofen has been implicated in elevating the risk of myocardial infarction, particularly among those chronically using high doses. Two studies have found an increased risk of miscarriage with the use of NSAIDs such as ibuprofen early in pregnancy; however, several other studies did not find this association. There are also concerns that drugs such as ibuprofen may interfere with implantation of the early fetus, although a clear risk has not been established. Ibuprofen, like other 2-arylpropionate derivatives (including ketoprofen, flurbiprofen, naproxen, etc), contains a chiral carbon in the Î±-position of the propionate moiety. As such, there are two possible enantiomers of ibuprofen, with the potential for different biological effects and metabolism for each enantiomer. Indeed it was found that (S)-(+)-ibuprofen (dexibuprofen) was the active form both in vitro and in vivo.It was logical, then, that there was the potential for improving the selectivity and potency of ibuprofen formulations by marketing ibuprofen as a single-enantiomer product (as occurs with naproxen, another NSAID). Further in vivo testing, however, revealed the existence of an isomerase (2-arylpropionyl-CoA epimerase) which converted (R)-ibuprofen to the active (S)-enantiomer. Thus, due to the expense and futility that might be involved in making a pure enantiomer, most ibuprofen formulations currently marketed are racemic mixtures. Ibuprofen overdose has become common since it was licensed for over-the-counter use. There are many overdose experiences reported in the medical literature. Human response in cases of overdose ranges from absence of symptoms to fatal outcome in spite of intensive care treatment. Most symptoms are an excess of the pharmacological action of ibuprofen and include abdominal pain, nausea, vomiting, drowsiness, dizziness, headache, tinnitus, and nystagmus. Rarely more severe symptoms such as gastrointestinal bleeding, seizures, metabolic acidosis, hyperkalaemia, hypotension, bradycardia, tachycardia, atrial fibrillation, coma, hepatic dysfunction, acute renal failure, cyanosis, respiratory depression, and cardiac arrest have been reported. The severity of symptoms varies with the ingested dose and the time elapsed, however, individual sensitivity also plays an important role. Generally, the symptoms observed with an overdose of ibuprofen are similar to the symptoms caused by overdoses of other NSAIDs. There is little correlation between severity of symptoms and measured ibuprofen plasma levels. Toxic effects are unlikely at doses below 100 mg/kg but can be severe above 400 mg/kg; however, large doses do not indicate that the clinical course is likely to be lethal. It is not possible to determine a precise lethal dose, as this may vary with age, weight, and concomitant diseases of the individual patient. Therapy is largely symptomatic. In cases presenting early, gastric decontamination is recommended. This is achieved using activated charcoal; charcoal absorbs the drug before it can enter the systemic circulation. Gastric lavage is now rarely used, but can be considered if the amount ingested is potentially life threatening and it can be performed within 60 minutes of ingestion. Emesis is not recommended. The majority of ibuprofen ingestions produce only mild effects and the management of overdose is straightforward. Standard measures to maintain normal urine output should be instituted and renal function monitored. Since ibuprofen has acidic properties and is also excreted in the urine, forced alkaline diuresis is theoretically beneficial. However, due to the fact ibuprofen is highly protein bound in the blood, there is minimal renal excretion of unchanged drug. Forced alkaline diuresis is therefore of limited benefit. Symptomatic therapy for hypotension, GI bleeding, acidosis, and renal toxicity may be indicated. Occasionally, close monitoring in an intensive care unit for several days is necessary. If a patient survives the acute intoxication, he/she will usually experience no late sequelae. Ibuprofen was made available under prescription in the United Kingdom in 1969, and in the United States in 1974. 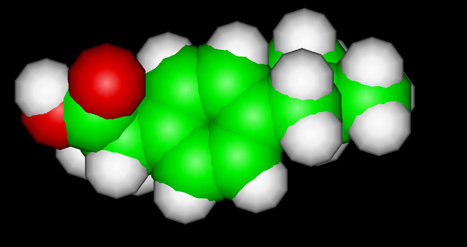 In the years since, the good tolerability profile along with extensive experience in the community (otherwise known as Phase IV trials), has resulted in the rescheduling of small packs of ibuprofen to allow availability over-the-counter in pharmacies worldwide, and indeed in supermarkets and other general retailers. For some time, there has been a limit on the amount that can be bought over the counter in a single transaction in the UK; this being 2 packs of 16 x 200 mg or 1 pack of 8 or 16 x 400 mg, the latter being far less common for over-the-counter sales. In the United States, the Food and Drug Administration approved it for over-the-counter use in 1984. The wider availability has meant that ibuprofen is now almost as commonly used as aspirin and paracetamol (acetaminophen). In other countries, such as Spain, higher dosages of 600 mg are available. In Germany 600mg per pill packages have to be prescribed, whereas 400mg is over-the-counter available in pharmacies.Mexico's doses go up to 800 mg per pill. ^ Dr Stewart Adams: 'I tested ibuprofen on my hangover' - Telegraph. Retrieved on 2008-01-20. ^ Zawada E (1982). "Renal consequences of nonsteroidal antiinflammatory drugs.". Postgrad Med 71 (5): 223-30. PMID 7041104. ^ Townsend K, PraticÃƒÂ² D (2005). "Novel therapeutic opportunities for Alzheimer's disease: focus on nonsteroidal anti-inflammatory drugs.". FASEB J 19 (12): 1592-601. PMID 16195368. ^ Chen H, Jacobs E, Schwarzschild M, McCullough M, Calle E, Thun M, Ascherio A (2005). "Nonsteroidal antiinflammatory drug use and the risk for Parkinson's disease.". Ann Neurol 58 (6): 963-7. PMID 16240369. ^ Geisslinger G, Dietzel K, Bezler H, Nuernberg B, Brune K (1989). "Therapeutically relevant differences in the pharmacokinetical and pharmaceutical behavior of ibuprofen lysinate as compared with ibuprofen acid.". Int J Clin Pharmacol Ther Toxicol 27 (7): 324-8. PMID 2777420. ^ Su PH, Chen JY, Su CM, Huang TC, Lee HS (2003). "Comparison of ibuprofen and indomethacin therapy for patent ductus arteriosus in preterm infants". Pediatr Int 45 (6): 665â€“70. PMID 14651538. ^ a b (2004) in Rossi S: Australian Medicines Handbook, 2004, Australian Medicines Handbook. ISBN 0-9578521-4-2. ^ Hippisley-Cox J, Coupland C (2005). "Risk of myocardial infarction in patients taking cyclo-oxygenase-2 inhibitors or conventional non-steroidal anti-inflammatory drugs: population based nested case-control analysis.". BMJ 330 (7504): 1366. PMID 15947398. ^ Chen CS, Shieh WR, Lu PH, Harriman S, Chen CY (1991). "Metabolic stereoisomeric inversion of ibuprofen in mammals". Biochim Biophys Acta 1078 (3): 411â€“7. PMID 1859831. ^ Tracy TS, Hall SD (1992). "Metabolic inversion of (R)-ibuprofen. Epimerization and hydrolysis of ibuprofenyl-coenzyme A". Drug Metab Dispos 20 (2): 322â€“7. PMID 1352228. ^ McElwee NE, Veltri JC, Bradford DC, Rollins DE. (1990). "A prospective, population-based study of acute ibuprofen overdose: complications are rare and routine serum levels not warranted.". Ann Emerg Med 19 (6): 657-62. PMID 2188537. ^ Vale JA, Meredith TJ. (1986). "Acute poisoning due to non-steroidal anti-inflammatory drugs. Clinical features and management.". Med Toxicol 1 (1): 12-31. PMID 3537613. ^ a b Volans G, Hartley V, McCrea S, Monaghan J. (2003). "Non-opioid analgesic poisoning". Clinical Medicine 3 (2): 119-23. PMID 12737366. ^ Seifert SA, Bronstein AC, McGuire T (2000). "Massive ibuprofen ingestion with survival". J. Toxicol. Clin. Toxicol. 38 (1): 55-7. PMID 10696926. ^ (2004) "Position paper: Ipecac syrup". J. Toxicol. Clin. Toxicol.42 (2): 133-43. PMID 15214617. ^ Hall AH, Smolinske SC, Conrad FL, et al (1986). "Ibuprofen overdose: 126 cases". Annals of emergency medicine 15 (11): 1308-13. PMID 3777588.